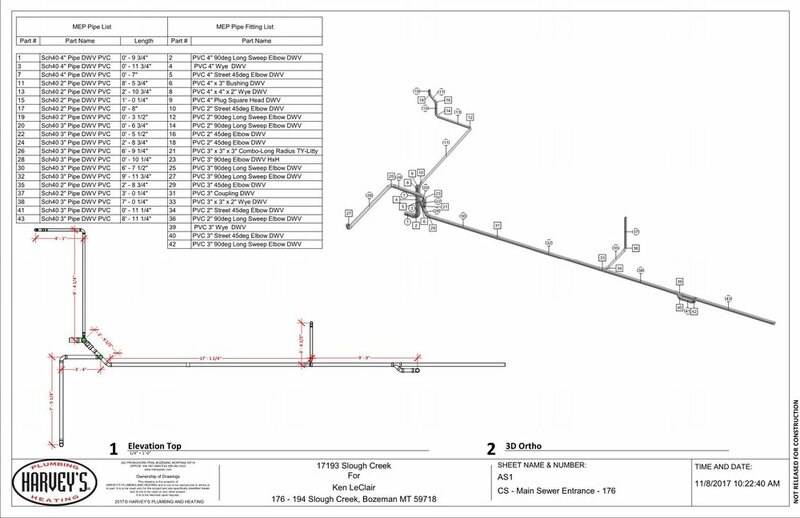 Harvey's is focused on collaboratively working with architects, engineers, and contractors to ensure the accurate and timely delivery and installation of our engineering services. 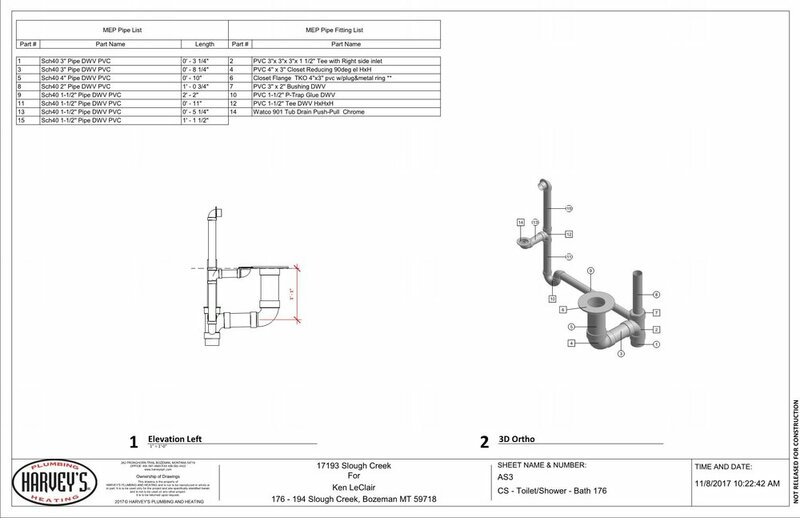 Through a tried and tested process, the Engineering Division utilizes a Building Information Modeling approach with fabrication in mind. 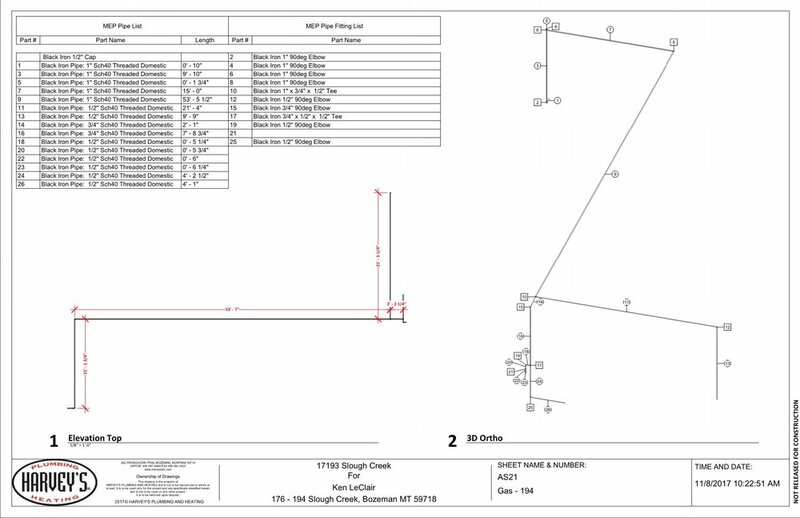 By utilizing our construction experience, we design what is built, eliminating costly rework in the field. 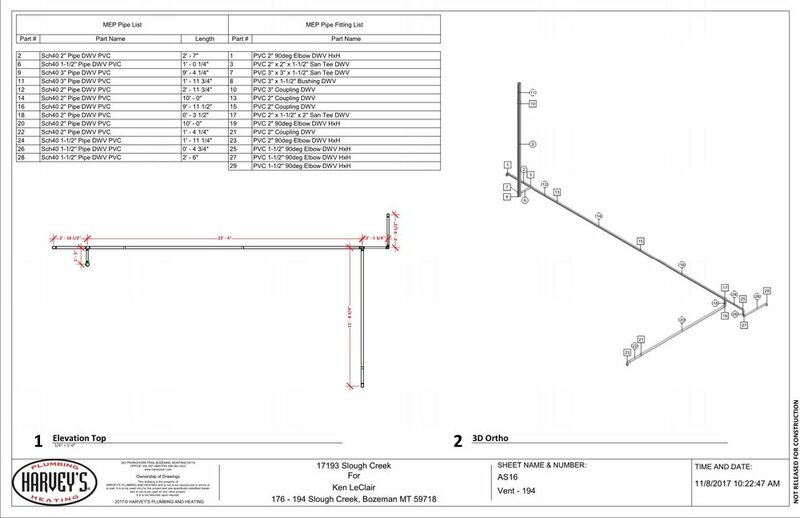 Harvey’s unique structure allows us to operate differently than a traditional engineering firm. 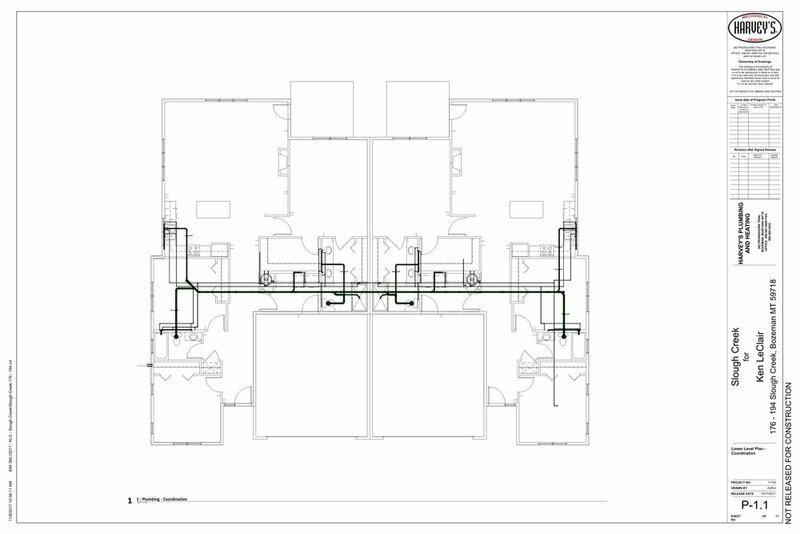 When you see our drawings, you see the difference. 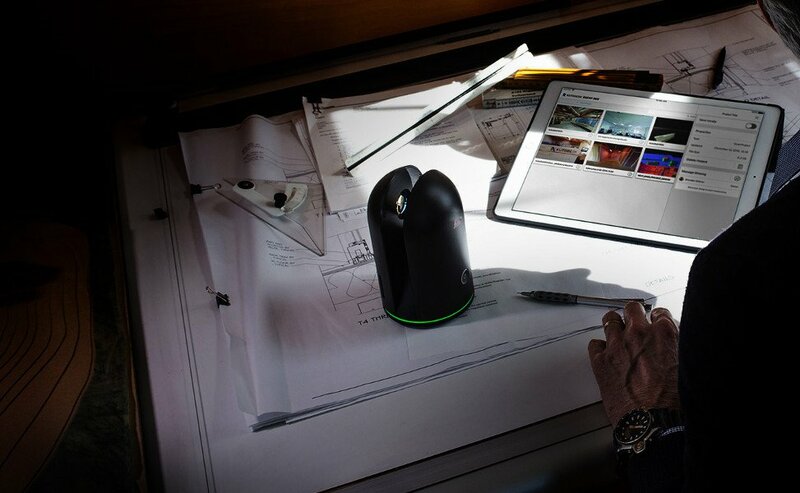 We incorporate these concepts into our everyday work, and on every project. You will realize the savings in cost, time and reduced errors. My name is Brian D. Nickel. I am a graduate from Montana State University’s Graduate School of Architecture. I lead and supervise Harvey’s Engineering Division. 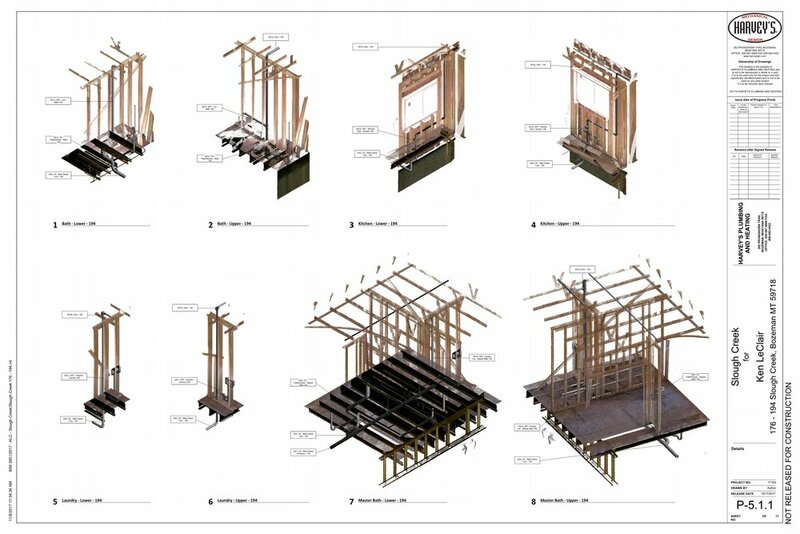 I believe that design needs to have fabrication in mind and that through collaboration with the architecture, engineering, and construction industry the design – fabrication – installation process can be achieved successfully. My name is Ryan Sullivan, I lead Harvey’s Engineering Division as the Principal Engineer. 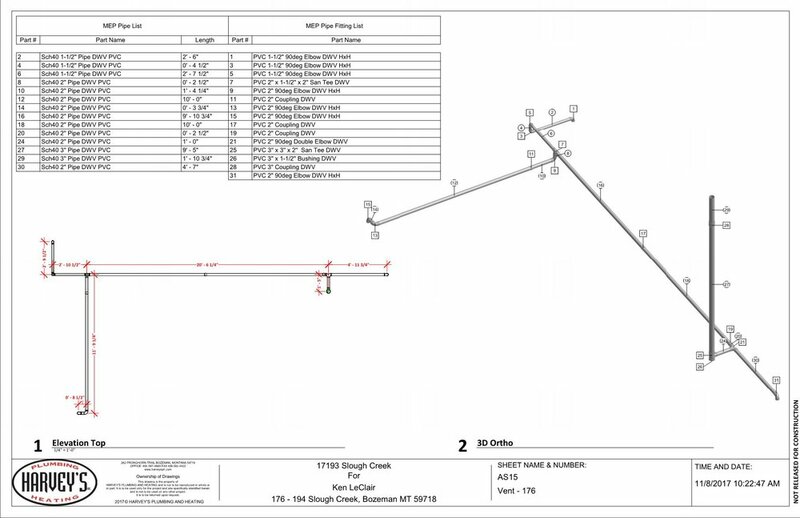 I believe pushing the industry forward comes from closing the gap between design and construction, this is critical to reduce errors, rework, and inefficiencies. “Because we always do it this way” is not an acceptable design philosophy and because of that I strive to find innovative solutions that encompass all disciplines. I have always been interested in math and science. While others grew up wanting to be a doctor or a football player I wanted to be an engineer. I was lucky enough to pursue my dreams by attending the Mechanical Engineering program at Montana State University, from which I recently graduated. I am now thrilled to be the Engineer In Training (EIT) at Harvey’s and look forward to the challenges and opportunities to come. What are the benefits of IPD? An IPD project improves project outcomes by changing the way decisions are made, goal are accomplished, and responsibilities are shared. The hallmarks of an IPD project are shared objectives, consensus in decision making, and the use of BIM, or building information modeling. The American Institute of Architecture created a comprehensive guide to IPD, outlining contract types, processes, and roles. 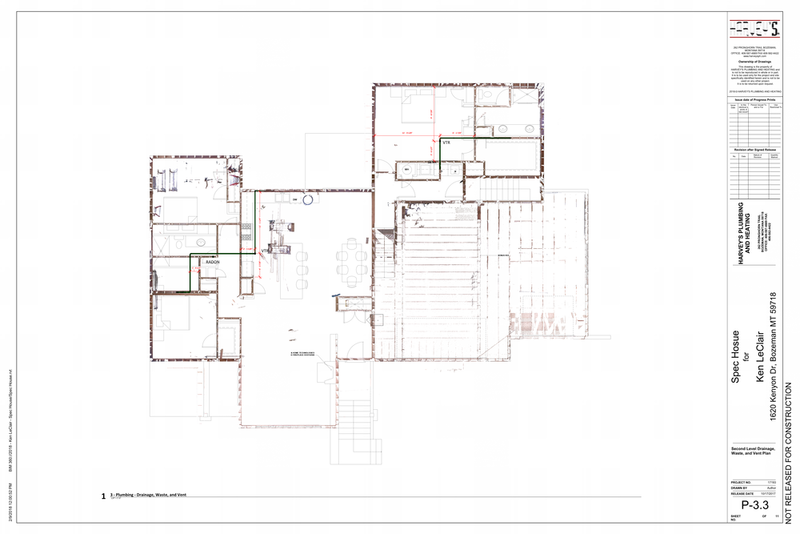 Mechanical room layout with as-built laser scan to ensure the system fits correctly and can be fabricated prior to installation. 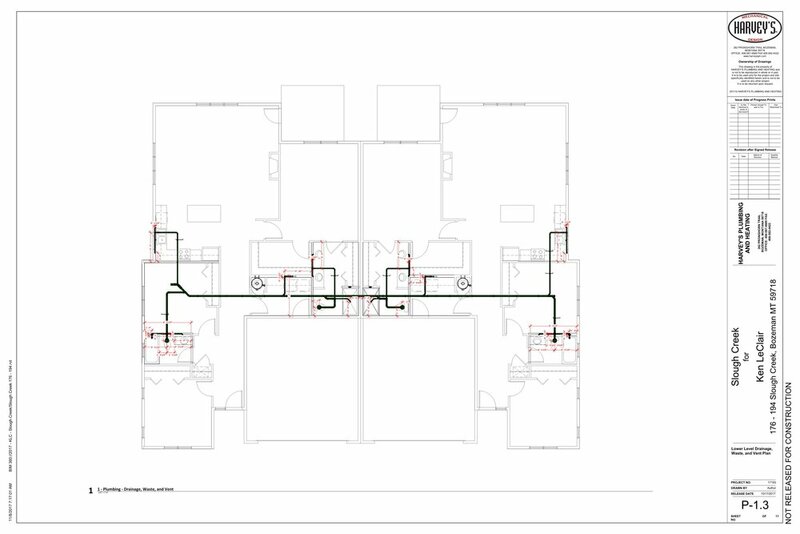 Layout of Aquatherm piping for prefabrication of mechanical room piping. 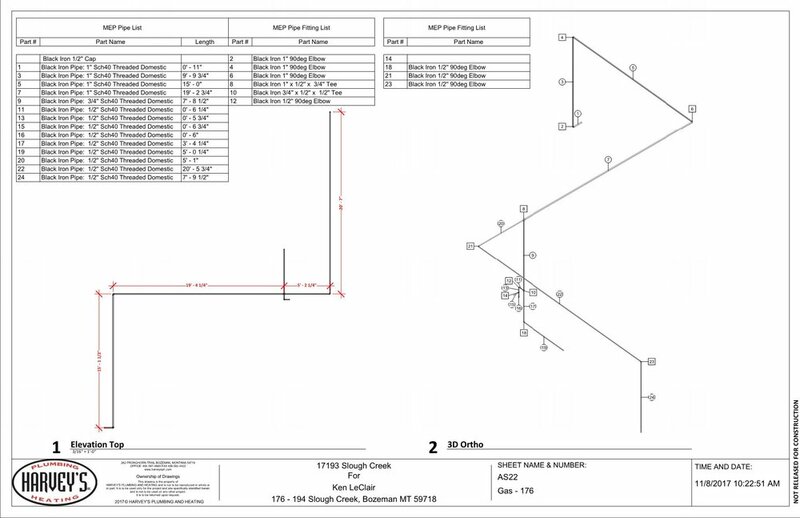 We have dialed this process in to a point where we can send the mechanical room layout to Aquatherm's Salt Lake City office and they will spool, prefabricate, and ship our designs to our job sites. 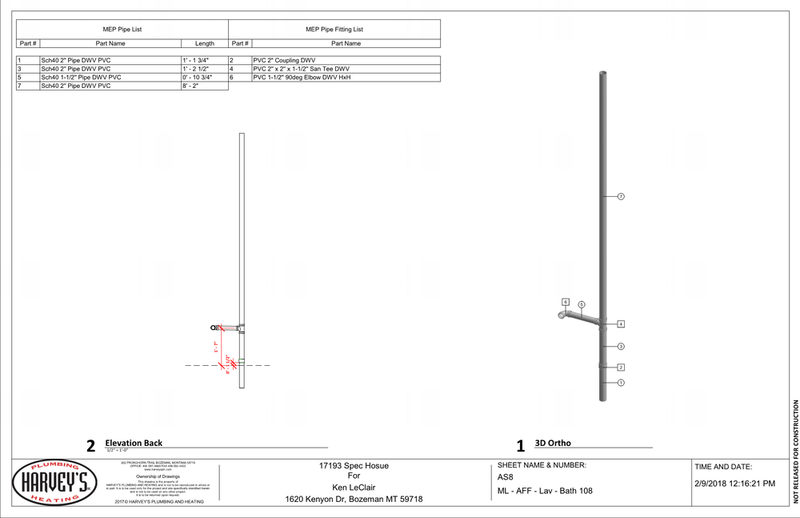 Prefabrication is the heart of Harvey’s beliefs on mechanical and plumbing contracting. 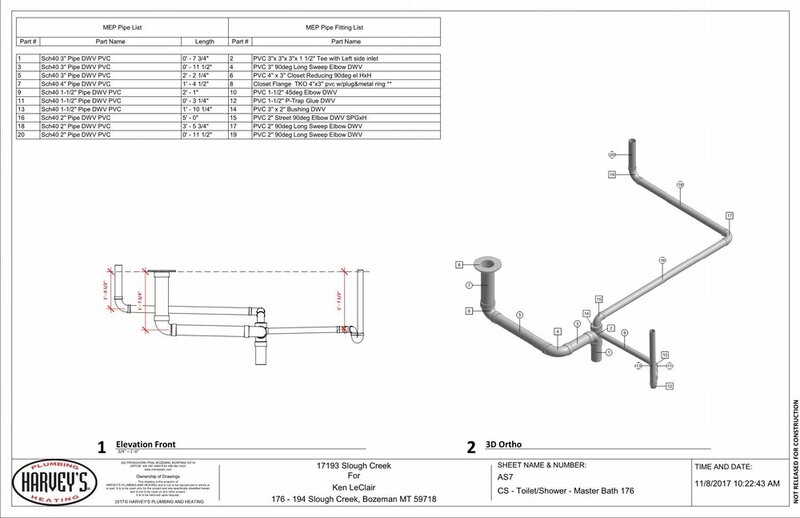 Working closely with our Engineering division and their design software capabilities, we ensure that our installations fit precisely and are fabricated with the highest level of quality and care. 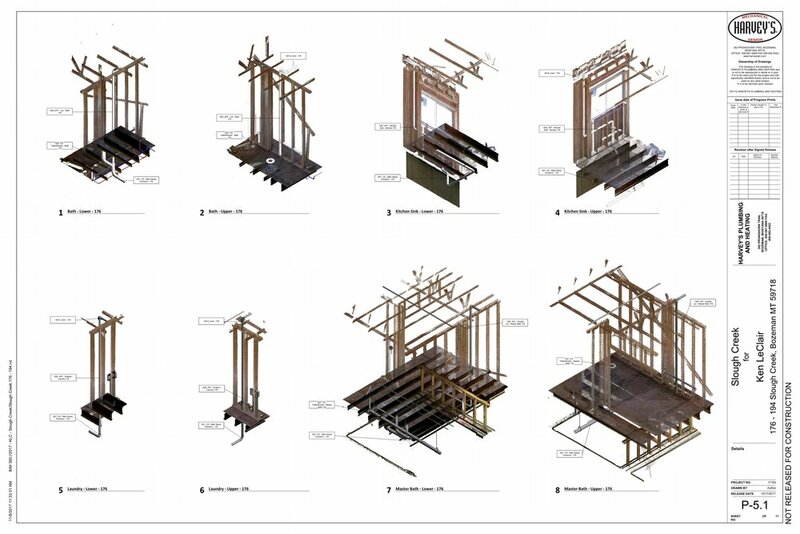 When schedules are fast, prefabrication allows our team to produce large quantities of product and assemblies offsite in our warehouses, most of the time prior to the building being ready for mechanical and plumbing installation. State of the art design lab, fabrication warehouses, and equipment. HVAC Warehouse supplied by local suppliers for quicker installation. 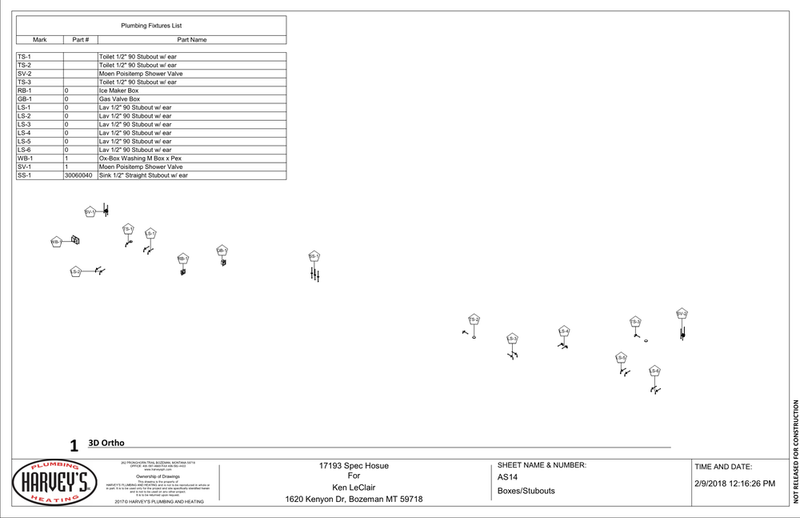 Plasma Cutters, Sheet Metal Folders, Press Brakes, and Shears. All fabrication operations are supervised by our full time division managers. With separate warehouses available for black pipe, copper, PVC and stainless steel, our fabrication shops can handle any project thrown at them, at any time. 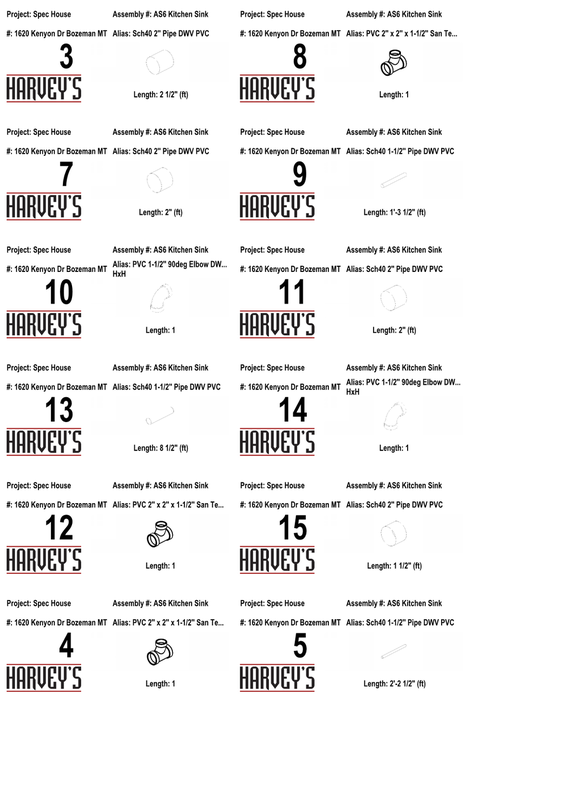 Harvey's H.V.A.C. 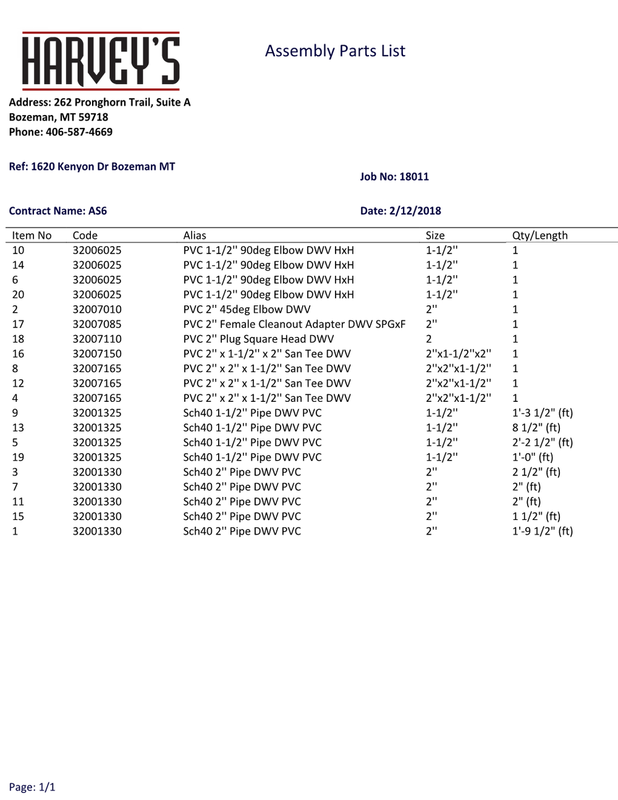 Division has an internal database of components for all of our sheet metal cutting needs. The database is filled with thousands of flat patterns that ensure top notch precision and accuracy. 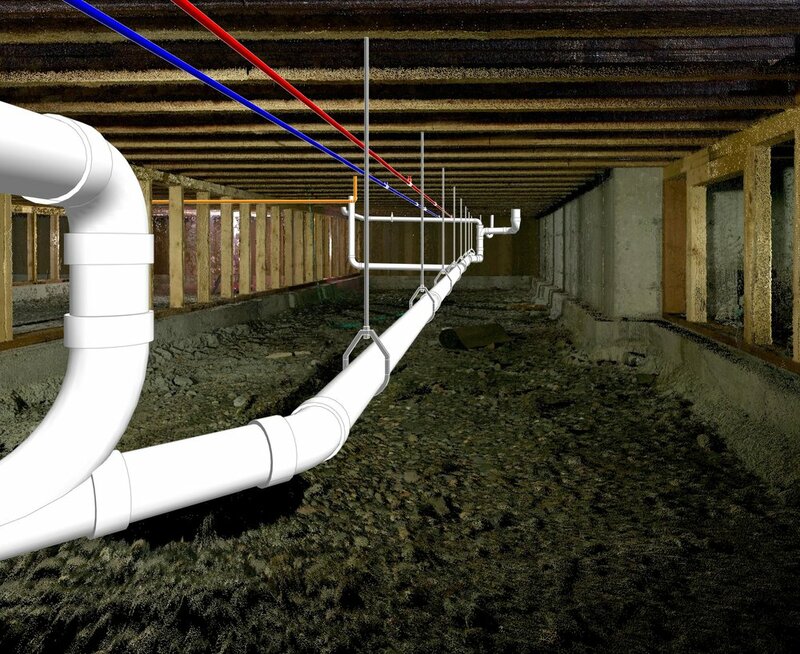 At Harvey's we strive to be the best at what we install. 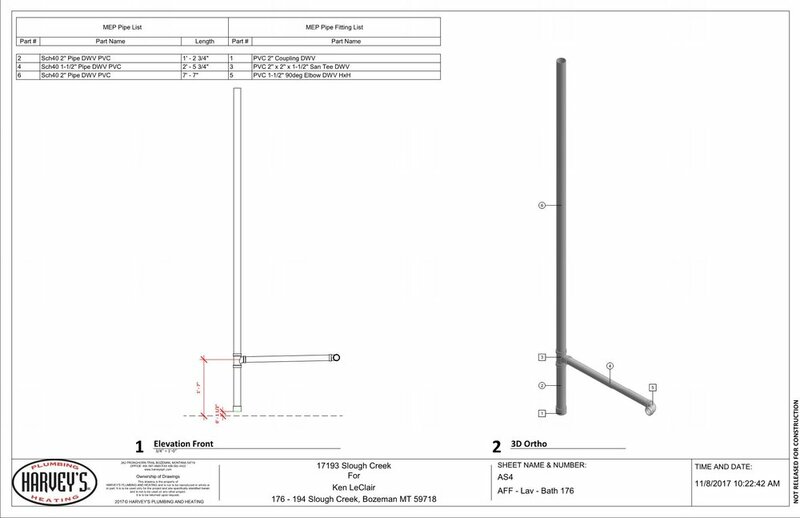 With our tried and tested approach we're focused on design to fabrication installations. 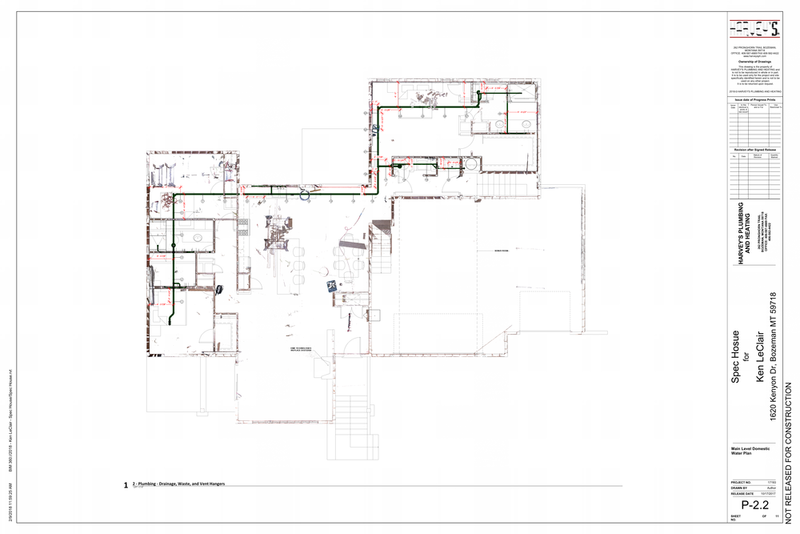 It's important to us that the systems in the homes we install are well thought out and functional. 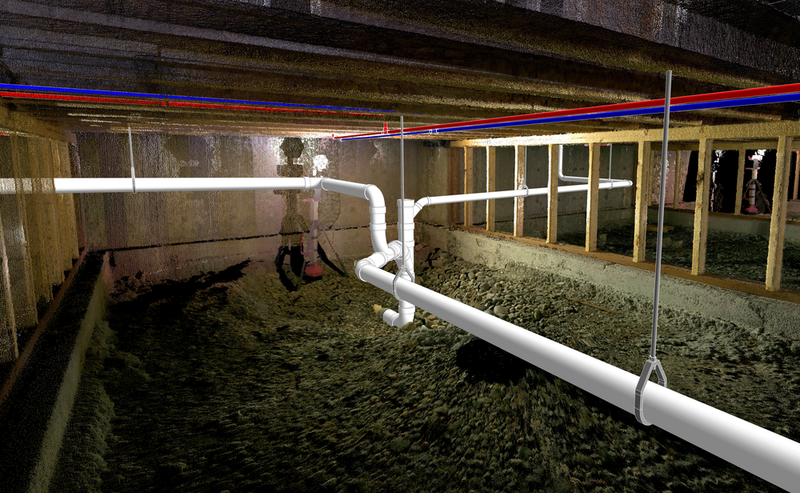 We overlaid our mechanical and plumbing systems to a Revit model supplied by the architect. Through direct coordination and collaboration we were able to effectively install our systems more efficiently and accurately. 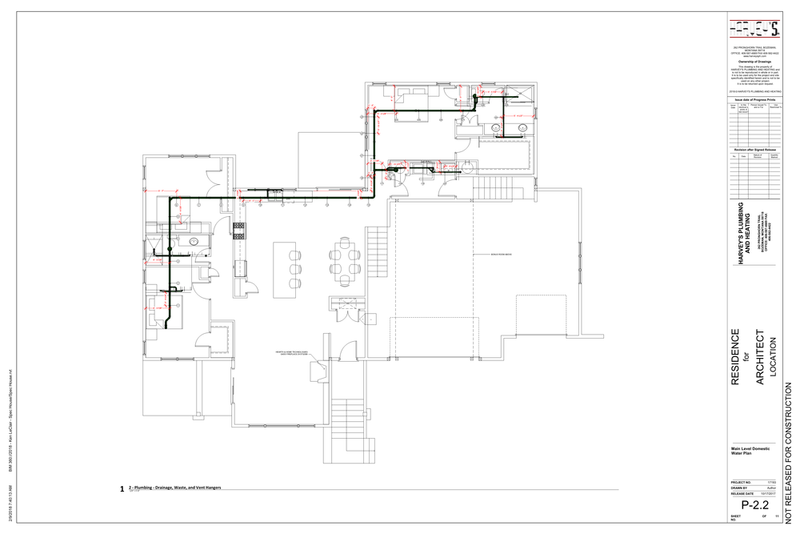 Harvey's Hydronics focuses on optimizing our clients mechanical rooms with systems that organized efficiently. 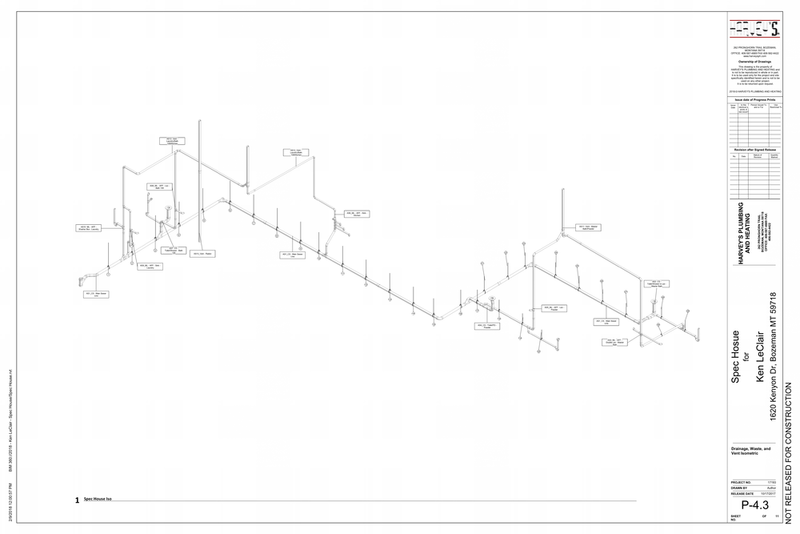 Laser scanned as-built documentation for optimal mechanical design. 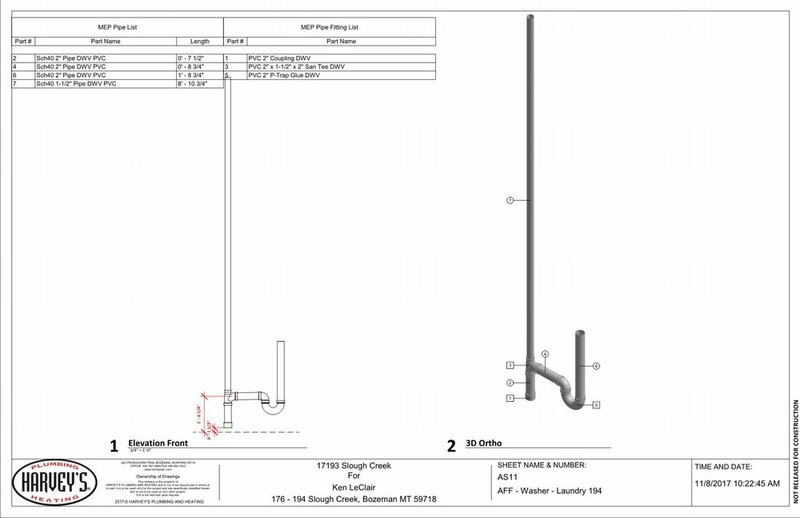 Let us design your next rain water catchment system. 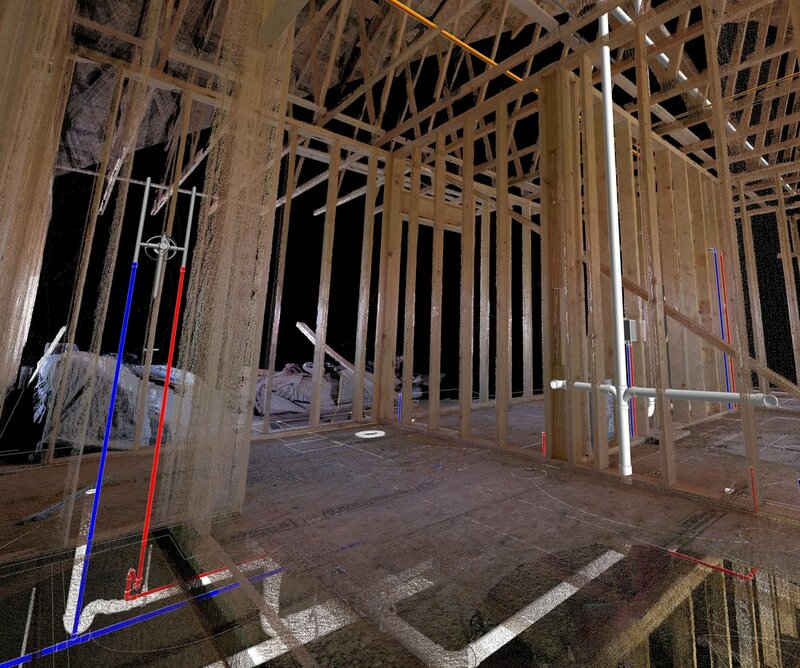 Harvey's utilizes a tried and tested approach for laser scanning as built conditions for Revit/AutoCAD coordination and fabrication. 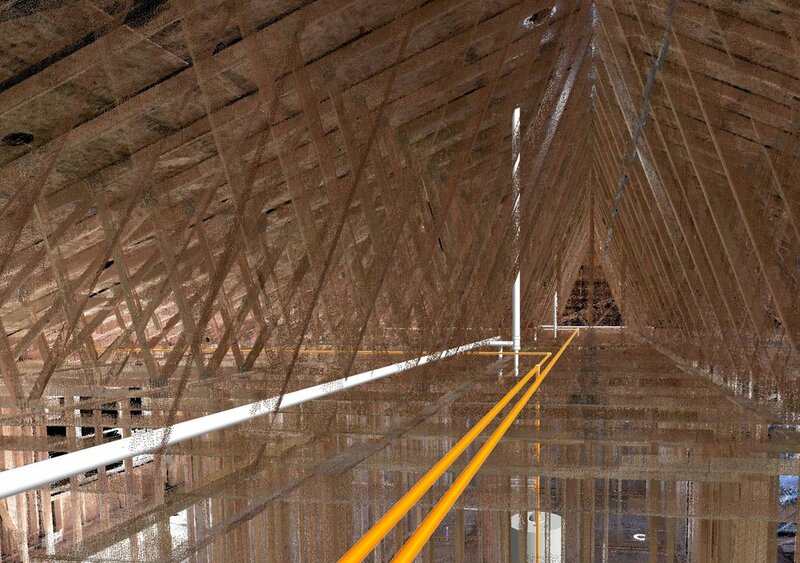 The laser scanner allows for rapid documentation of all systems installed for documentation of all systems. 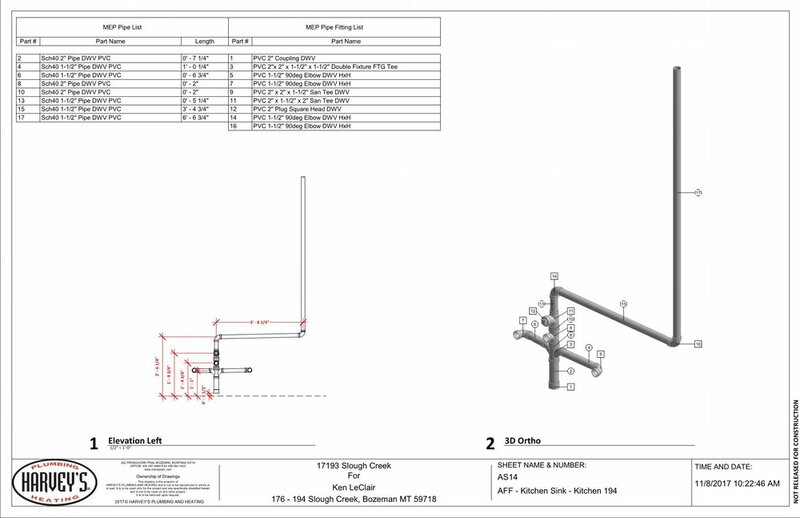 Plumbing Design for custom Tiny Homes. 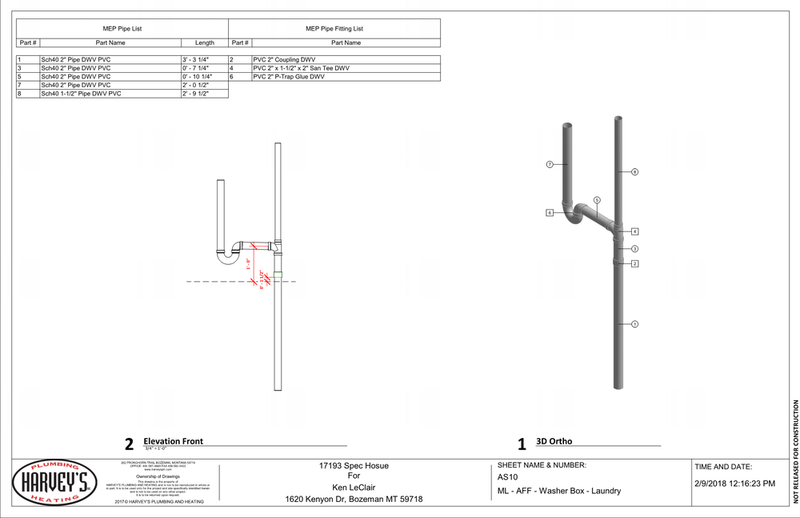 Provides a plumbing diagram of all systems for custom multiple layout configurations. 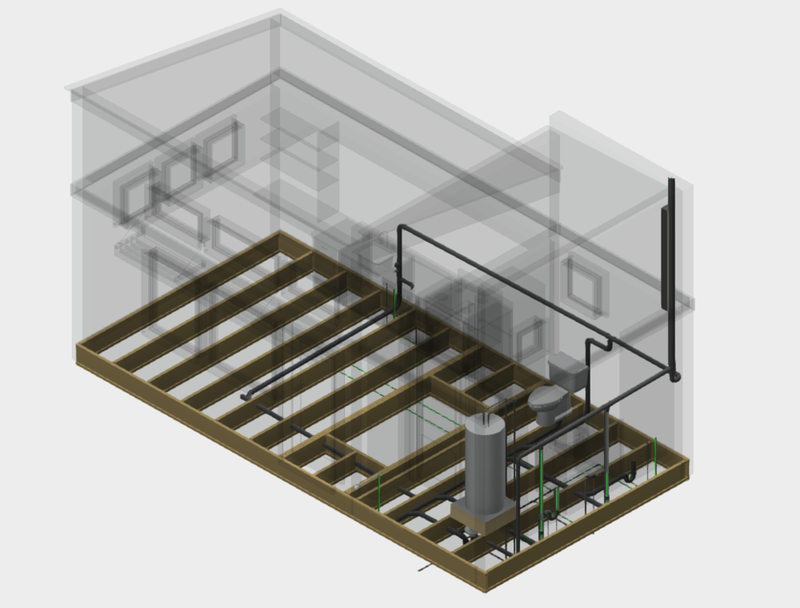 The plumbing systems can be prefabricated off-site within the modules and transported to site for full design to fabrication installation.